The Sumer Solstice happens on Thursday, June 21st, at 3:07 AM PDT & 6:07 AM EDT. In the Northern Hemisphere, this is the time when the earth’s gradual tilt toward the Sun has reached the limits of its capacity to tilt any further. Its current end-state has been reached over the six month period following the Winter Solstice of December 21, 2017. The earth can proceed no further in its current direction. A course reversal is required. But not before a temporary pause in the action. The earth stands still for a moment as it prepares for a shift in direction. The days get shorter in Northern Hemisphere as periods of darkness become progressively longer. (It’s all the exact reverse in the Southern Hemisphere. The days get longer below the equator.) I live in the Northern Hemisphere so I’m writing from my perspective. But the basic dynamics whether North or South are the same. Increasing lengths of darkness require adaptations and reverse navigational strategies. For the past six months we’ve been under the influence of Yang energy. We’ve been active, outwardly focused, fighting to accomplish what we needed to accomplish. As we begin to be influenced by the “Yin energy season” we move into optimal territory for convening with the soul. When daylight hours begin to fade and seeing the reality of what’s in front of us becomes more difficult, our senses kick into high gear. Intuition sharpens. We begin to rely on feeling to find our way through a personal darkness that harbors disowned, neglected, rarely acknowledged, “alienated” parts of the self. We’re seeking something truthful and essential to inform this pivotal point in our life. What we resist persists. What we disown inwardly has no choice but to express outwardly. A not so brilliant interpretation, but something to consider given the timing of events, is the possibility you may have alienated your confused, wounded and traumatized inner child. The busyness of the Yang phase leaves little time for inner exploration. Many blame whatever’s out there before they conclude that the cause is not “out there.” It’s within. Yang energy is active and assertive. In contrast Yin energy which is passive, intuitive, and powerfully attractive. There’s a slowing down, “unwinding feel” to it. Yin energy is more conducive to navigating the deeper recesses of your mind and heart. That can feel like an unfamiliar adventure. Outer realities suggest or scream the need for a collective personal course correction, different strategies, and mainly the recognition that a one dimensional familiarity with yourself creates widespread chaos and pain. What’s outside your realm of awareness controls your life and can create nightmarish realities. The good news is that for the second half of this year we have access to a quality of energy that’s conducive to inner exploration and recovery. What’s hidden in your deeper dimensions is a treasure trove of information that can be used to inform decisions. This is a pivotal time. Chances are you have some decisions to make between now and November. Ideally those will be rooted in deeper, more truthful dimensions of your being. 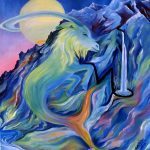 Since transiting into the sign of Aries, part of Chiron’s healing mission, is to make it possible for you to put your personal stamp on the world. To have the confidence you need to act on this a deeper understanding of the nature of your personal stamp is being supported. It’s time to figure out how it fits into the whole – mainly by becoming more whole yourself. There are many avenues of assistance available to help you move past fear, to discover strategies for exploring, discovering, and reconnecting with what lies beneath. Over the next six months is an ideal time to prioritize personal time. 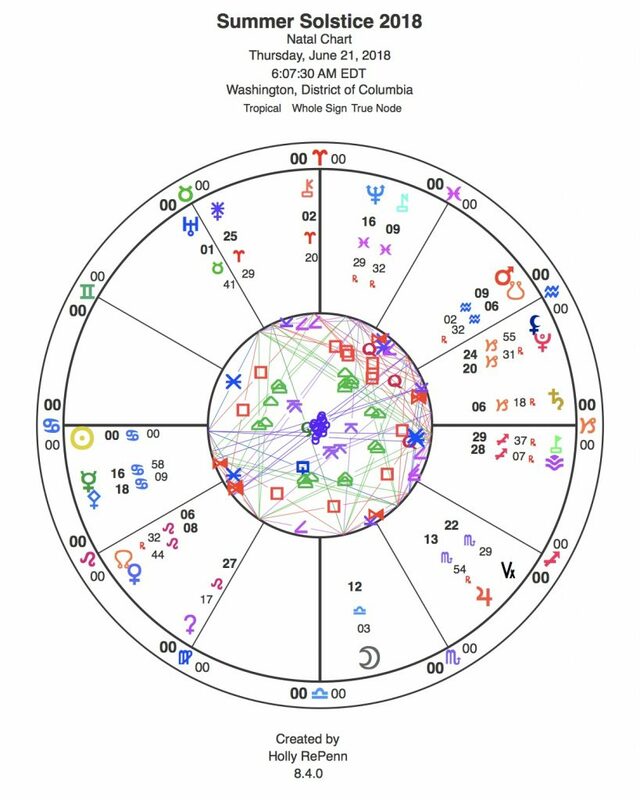 A few highlights of this year’s Summer Solstice Chart include the fact that the Moon, the ruler of the 0 degree Cancer Sun, is placed in the sign of Libra. The nature of our relationship with some aspect of ourself is unfair, and unbalanced. It may be out in the cold striving to survive on its own. But Mars in Aquarius (interestingly in his shadow phase) supports the Moon – and vice-versa. Mars is creating breakthroughs to progress, infusing the possibility of something more humane. The Moon is sensitizing Mars to heartlessness and connecting him with his own pain. He can identify. He’s extra motivated to explode blockages and to create the breakthroughs he’s famous for. He supports enlightened solutions and methods. Aquarius has a soft spot in his heart for alienated kids. Chances are he was an alienated kid. 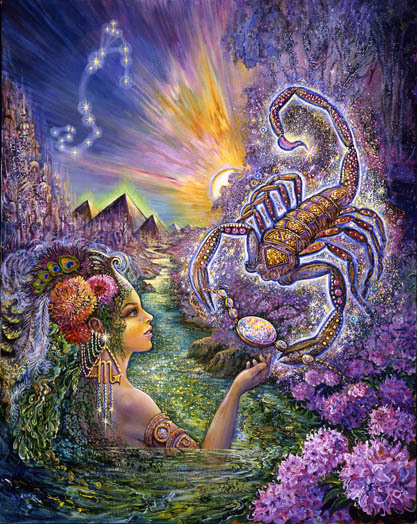 The Moon sits on the Mercury/Saturn midpoint indicating retarded development of the mind and soul as a result of a separation. 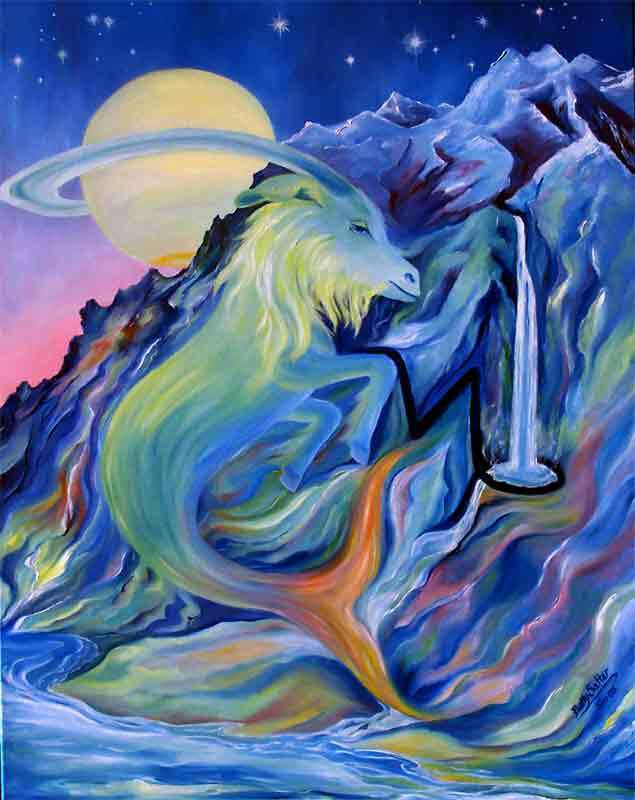 Pholus, the highest placement in the Solstice chart, sits on the Moon/Neptune midpoint. An overall heightened sensitivity to pain is indicated. What you feel threatens to blow the lid off old perspectives, beliefs, and tendencies to defer to arbitrary authority. You may sense you’re on the verge of giving into an urge that takes you into unsafe zones. Inner “explosions and breakthroughs” threaten to kick the supports out from under a limited but familiar framework of lies. What’s clarified for you may be how you’ve been fooling yourself. You have a few highly charged options. None of them feel safe. But one of them might feel right. Pholus is packing an extra punch because he resides in the 29th critical degree of Sagittarius. His sense of urgency is intensified. 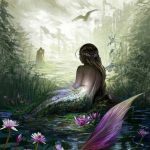 You’ll notice that a grand a water trine (fluid emotions) involving Neptune, Mercury, and Jupiter is spread across this 2018 Solstice chart. 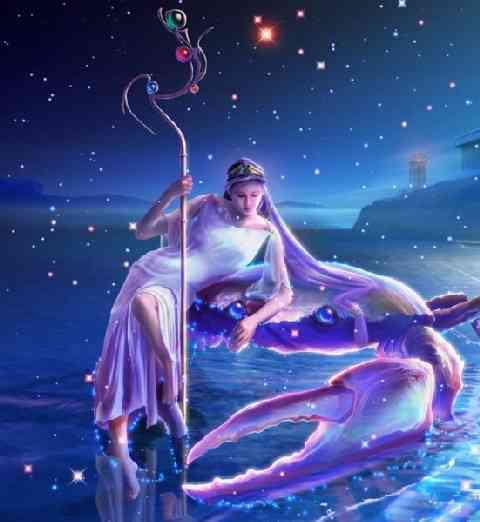 Jupiter loosens old allegiances, Neptune dissolves inner boundaries, and Mercury in Cancer infuses detached perspectives and decisions with a nurturing type of compassion. The message is one of unusual ease of navigation through the most resistant parts of our inner life as you seek to more powerfully influence social and global environments. Passive forms of healing seem most effective. 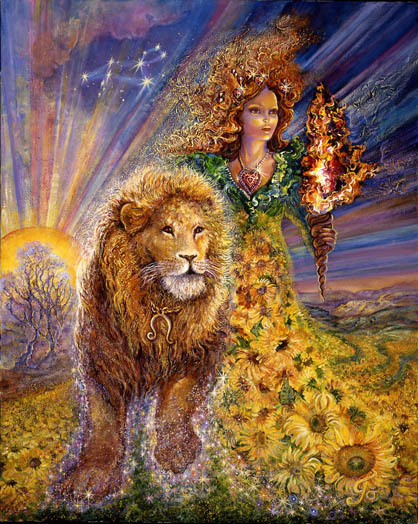 Venus in Leo bypasses the brain and goes straight to the heart. 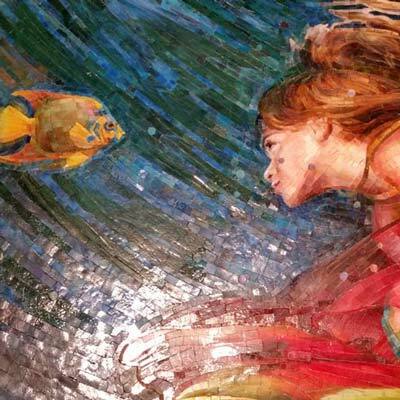 Aquarius’s intense focus recognizes what’s needed when – how best to save a life. He’s like to the most unflappable, pediatric emergency room surgeon imaginable. But his ultimate effectiveness relies on a team of caring, tuned-in, open hearted, professional women most likely. The combination is what makes it all work. This symbol speaks to a willingness to be dominated by influences that offer cheap or immediate rewards in exchange for doing their bidding. Opportunities to listen to the quiet voice of the heart and to renounce a devil’s bargain seem promising. It seems we’re all involved in some kind of Devil’s bargain. It’s time to reverse that. The black hood over the hangman’s face implies that something dangerous and deadly is hidden, disguised, and difficult to identify. Tracey Chapman was born with her south node at 6 degrees of Capricorn. ?The lyrics to her songs align with the central challenge of the Summer Solstice. And the speechless speak the truth. 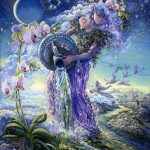 Solstice energy falls in your 4th house of home, family, and the past. It powerfully influences your drive and ambition to achieve what you most need to achieve. You may have to go backward – what you perceive as backward or maybe a loss – to go forward. You may have to release something that’s painful to release. But it seems the rules you play by may be reversed. Letting go may be the way you capture what has previously eluded you. Others may come around as you pull the trigger on a gut wrenching decisions. What you assume will unfold may turn out to be directly opposed to what actually manifests. Whatever you do has a heroic feel to it because you assume the outcome will be painful. You role the dice and you hit the jackpot. Rolling the dice is what saves you. The solstice plays out in your third house of communication. You may be involved in a project that requires not only lots of self discipline, hard work, and focus, but also a willingness to engage your tender soul. It has the feel of some kind of heroic adventure. There is something dangerous involved that most likely involves fear of exposure, extreme vulnerability, and the need to uncover something slippery and elusive that’s historically undermined you. As weird as this sounds, you may need to embrace and love the part of you that is the trembling warrior – terminally preoccupied with how to escape from anything that feels remotely dangerous. You may be ashamed of him and want nothing to do with him. You may hide him in the closet when company comes. But he would respond really well to a psychic hug and a little love and compassion. At his core he’s actually very courageous. But the shame and alienation has distorted that truth. 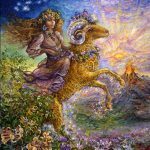 The summer solstice activates your 2nd house of priorities, financial stability, and the nature of what you’d like to build that will endure the test of time. A fortunate reversal may be initiated. 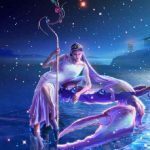 Mercury, your chart ruler, is involved in an easy flowing grand trine that will influence you through the remaining six months of the Summer Solstice influence. 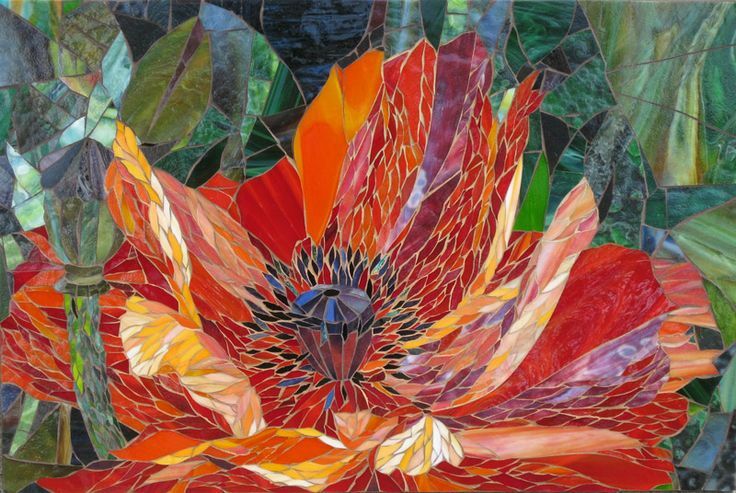 You may witness things falling into place beautifully absent your tendency to tightly control outcomes, the nature of another’s contributions, or the flow of love in your direction. Possibly inviting back into the fold your ability to trust in love and to receive it open-heartedly in the form it is given seems wise. The timing feels right for this kind of healing. Often people do not betray you. But trust is a heroic act for you. It feels healing in a way nothing else does. Under grand trine influences it seems you could be home safe. 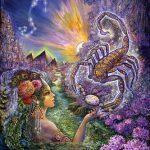 The Summer Solstice influence falls in your first house of your entire style and approach to life, to relationships, and to the kind of role yo prefer to play within the family. What it is you most want to initiate may be clarified. Some kind of reversal may be wise. Letting go of an old idea about who deserves your admiration, your love, and your loyalty may be in play. It’s time to be heroic. For you that involves confidently steering your life in the direction you want it go, consistently asserting authority over your own life, and refusing to compromise in ways that betray your inner genius and power. Embracing what you love is stabilizing for you. Even if what you love seems weird to others turning your back on it is not a promising option. It’s time to step up for yourself. 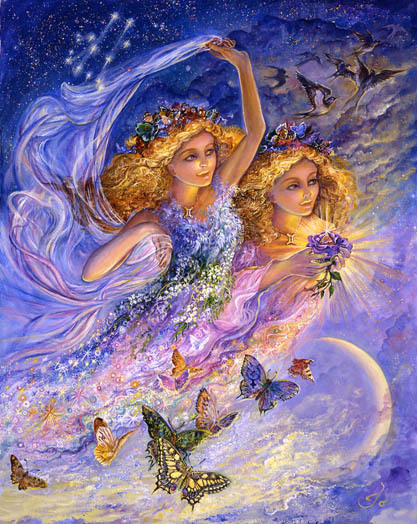 The Summer Solstice influence emanates from your 12th house of unseen, invisible pieces of yourself, powerful hidden potentials, and your mother’s influence which you seek to control and maybe over control. Letting it flow may an idea whose time has come. b But it would most likely entail some heroism. You may have witnessed her being destroyed, abused, or otherwise systematically cut out of your life. You may have understood that she was vulnerable to being overpowered and silenced. You may have concluded that you couldn’t afford to give her safe harbor within the deepest recesses of your heart because her presence could wreck havoc with your ability to gain mastery over yourself. She could be that constant reminder of a weakness you couldn’t afford to integrate, the futility she endured navigating through a no-win situation, powerlessness, and incredible strength and sensitivity. But that’s over. It seems wise to bring her back into the fold – at least psychically. Her full integration may be the missing piece that allows you to develop full mastery over yourself. At stake may be your ability to go toe to toe with a partner who stretches you beyond your current limitations. There’s an ease and flow that permeates your life for the next six months. Or maybe it’s that you’re making your life look easy. Most likely that’s the result of a skill you’ve honed to perfection, countless hours of hard work, preparation, experience, and know how. In any case there is a fluidity involved that looks effortless. Personal performances take on magical dimensions. Your love informs your work as your work becomes increasingly effective, graceful, and inimitable. So now may be the time when you can take on a project that embodies justice, fairness, and a leveling of the playing field. For you there may be a meaningful social challenge involved. You may be at a pivotal turning point. How you choose to use your wealth of hidden talents to effect change has the feel of something heroic. Loosing can feel especially painful to you. You could loose this one. You’re out-matched most likely. But it seems important that you choose to roll the dice and give it your best shot. Your main advantage is that your heart could be fully engaged. To enhance your luck embrace the “embarrassed loser” part of yourself you’ve wanted no part of. She’s in need of attention and affection. When she knows she’s safe and back in the fold she’ll release her grip on you. 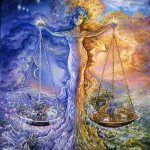 Venus and Mars provide plenty of opportunity for you to become acutely aware of an imbalance, the tendency to fight against yourself, to over compromise, or to settle for peace at any price. A reversal is in play. 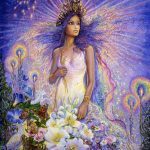 The Summer Solstice energy is influencing your 10th house of your life direction, fundamentals like home and family, and a basic sense of fairness. You are most effective when you take the long view and agree to do what it takes, even if it involves conflict in the short run to ensure lasting peace and harmony. Most likely you have some important decisions to make mainly about the role you play within the realm of relationships. You may need to rebel against the idea that a life you “make up as you go along,” one that looks pretty unique and different from what you believe to be stabilizing, can’t possibly work. The more you try to fit love and happiness, and maybe children, into traditional boxes, the unhappier you may become. For the sake of long term love it’s time to consider non-traditional options, to compromise where you can, and to stand up and fight for the sake of sustaining a love that’s real. Initiating something new within the realm of relationships feels healing and right. The ease and flow of a daily routine, predictable encounters, familiar places, and same-subject conversations needs to be shaken loose, reversed, or upended in some way. 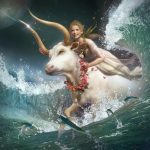 Uranus is exerting an influence that requires something unpredictable, more exciting, unusual, artistic, or out of your comfort zone. Something that has represented bedrock and stabilization for may explode and set you free to build something that will endure the test of time. It seems you may need to rebel against old sources of stabilization, family, roots, and the heavy foundations you have set in place. Something new and different from anything you’ve imagined in the past may be offered. Or a twist on something old (an old experience maybe) that offers new opportunities to shine or to show off your talents can be initiated. Lightening up will help a lot. Playing and having more fun is part of this picture. Jupiter in your first house is involved in a grand trine. It’s influence spans the length of the Summer Solstice influence – June 21st until December 20th. It is possible your life will look totally different by then. And you may be amazed at how easy this is to pull off. 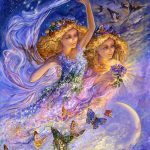 The Summer Solstice reversals influence your 8th house of power struggles, fear of betrayal, and the need to trust a financial partner or financial partnerships. 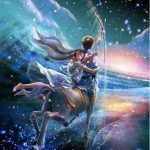 Jupiter in your 12th house implies that it may be time to embrace the part of you that is able to work very well and reliably as a financial partner to yourself. The issue may be that you have a history of not being a courageous and trusting financial partner to yourself. It may be time to build a different kind structure. You might want your structure to be exacting the purpose of achieving long term stability and more importantly freedom. Sagittarius hates to be confined to structures. Think of this as freeing yourself to expand into the kind of future you could love. Foreign travel may be involved. Testing out different future options, dipping your toe into the water first before jumping in with both feet may be wise. You may not want what you think you want now when you have actually created the means to have anything you want. Gaining mastery over yourself is a meaningful challenge. Saturn in your first house currently under the influence of the Summer Solstice indicates that reversals are imminent. This is a time to be your conservative, cautious self, until you determine how a reversal will begin to play out. Your relationship with the sensitive, tuned-in, vacillating part of yourself needs to be refined. Keep the bar low. Your adjustments need to be moderate. Balancing what’s becomes imbalanced requires a measured response. Partners may become especially changeable and difficult to follow. Resist the urge to over correct or to move into an authoritarian mode. Keep it simple and steady. It seems you may be preparing to take on a big, exploitative enterprise that seeks to benefit off the backs of the less well-connected and powerful. The methods you use now to stay closely in tune with yourself will render you more effective when you choose to roll the dice and take on a bigger fish. 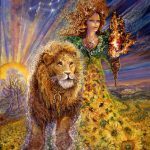 Summer Solstice energy highlights your 6th house of health. Opposing that is an overdose of something motivated by your need for structure, following routines, and resisting change. It may be hard for you to tune-in to the signals your body gives you, especially when those signals are encouraging you to change something that’s old and historically reliable. More flexibility could long way toward correcting an imbalance. 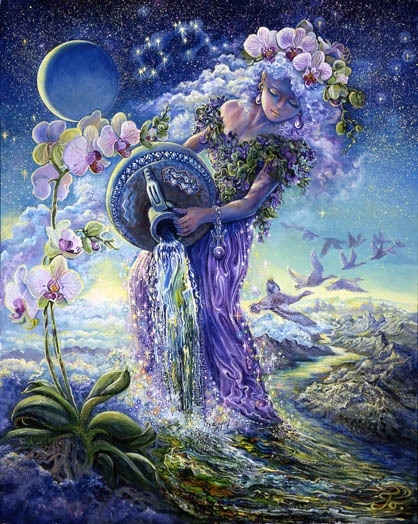 Aquarius is prone to extremes. It seems logical that the Summer Solstice and the extreme position of the earth in relation to the Sun could exacerbate that tendency. You can be structured and responsive. Simply stated there is too much of what may have started out to be a good thing. Releasing the fear of breaking a commitment to yourself could be an issue. On a deeper level you may need to bring back into the fold the part of you that was once able to trust your instincts and something more fluid, pleasurable, balanced, and moderate. Under the Summer Solstice energy, your 5th house of love is emphasized. A reversal implies that you have not loved yourself enough – or much at all and that opportunities to change all of that may be headed in your direction. It may require some commitment, an agreement to open yourself to information that breaks and heals your heart, and lets the compassion flow. 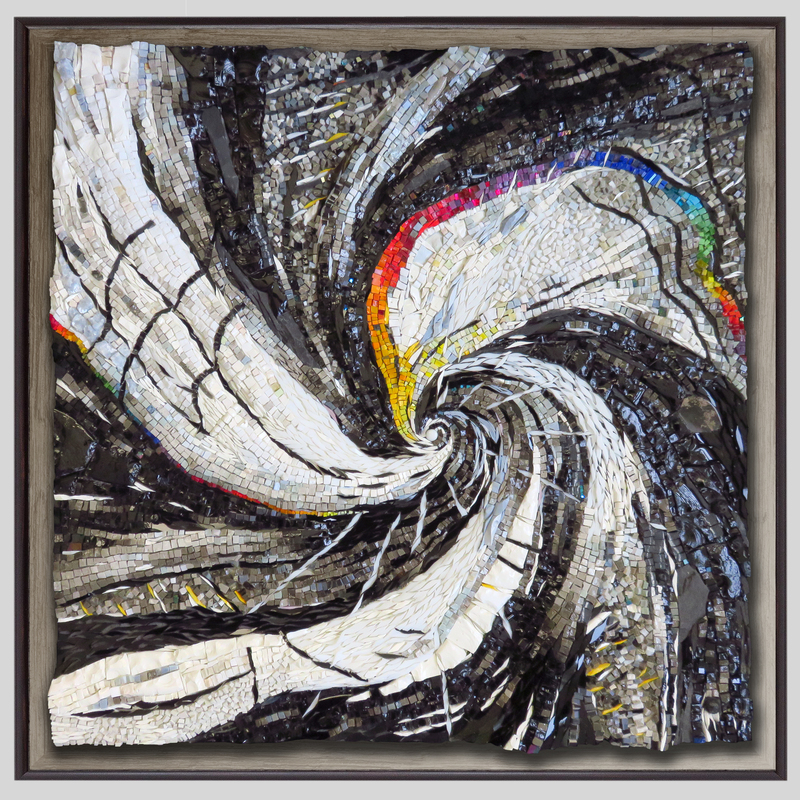 Yin energy supports the unraveling of long-standing resistance and over-protective. There is something powerful brewing in your 8th house of magic. The Moon currently resides there. Nothing logical or rational is necessary. The energy seems to transcend that level of operation. So there’s not much to do other than to resist resistance. 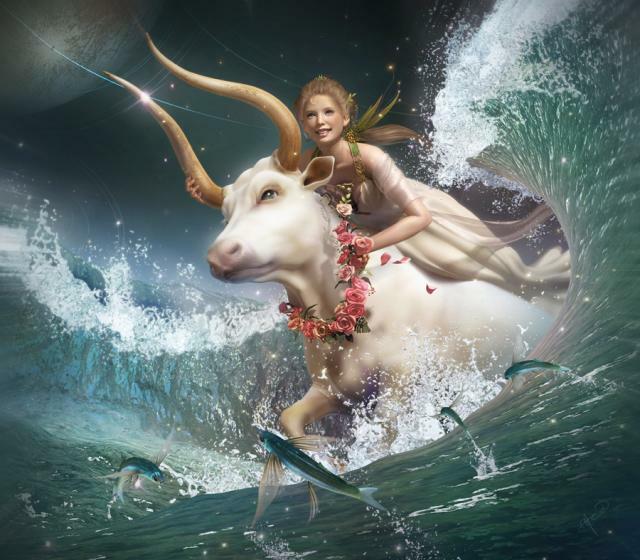 A grand trine involving Neptune and Jupiter (and Mercury) might make it hard to stem the tide or hold back the flow. 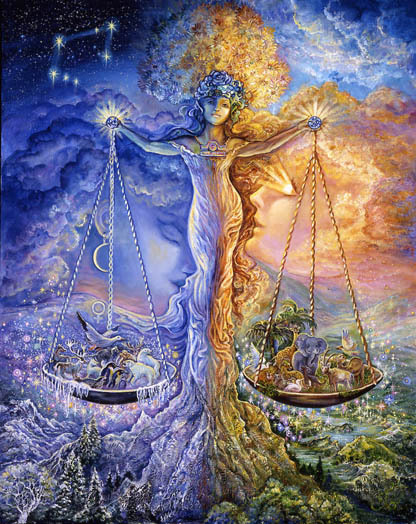 Jupiter is the traditional ruler of Pisces and Neptune is its modern ruler. It seems your resistance may be pleasurably overwhelmed if you allow it. 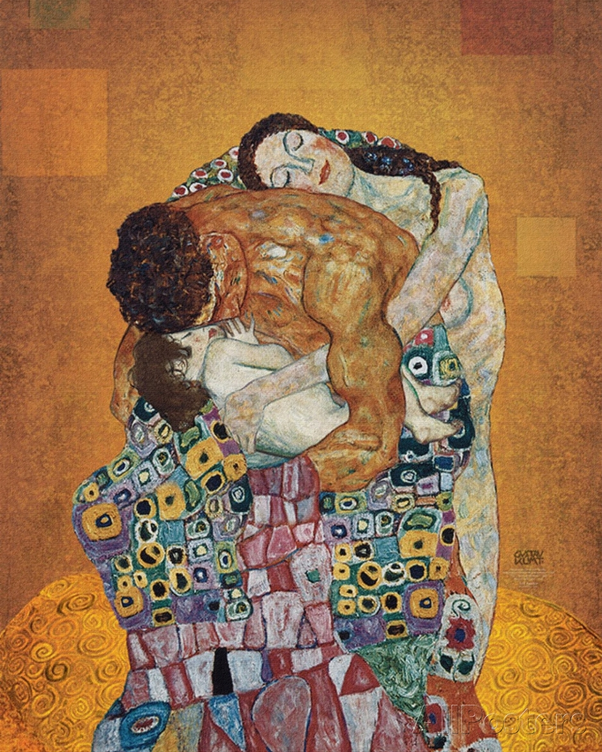 Gustav Klimt was a Cancer. July 14, 1862. No surprises there. Moon in either Aquarius of Pisces. I vote for Aquarius.